Obstetrics (from the Latin obstare, "to stand by") is the medical specialty dealing with the care of all women's reproductive tracts and their children during pregnancy (prenatal period), childbirth and the postnatal period. Many obstetricians are also gynecologists, meaning they perform in both specialties. Ours is a 100 bedded hospital, with a fully equipped labor ward and operation theater, latest high end USG machine, CTG machine. Our Unit offers 24 hrs emergency obstetric care for safe delivery for normal and high risk cases. All essential facilities like continuous fetal cardiac monitoring, Labor analgesia (pain free delivery) are available round the clock. After delivery babies are managed by experienced Neonatologist. High risk pregnancy – Pregnancies in elderly women, women with bad obstetric history, Pregnancy induced hypertension, Gestational DM, multiple pregnancy, Women with medical diseases like asthma, NIDDM, thyroid disorder. Miscarriage clinic: Unit offers treatment for Women with history of repeated pregnancy losses. Blood tests including karyotyping are available to investigate the cause of RPL. Antenatal clinic: Offers essential obstetric care to normal low risk cases. All facilities of routine blood tests, triple test for anuploidy. Post natal Clinic –Offers postpartum checkup and contraceptive advise and post natal exercises. Early pregnancy unit: Offers care to women presenting with complaints of pain abdomen, bleeding per vaginum in first trimester of pregnancy. Family planing unit: All contraceptives are available, couple is provided with the counselling regarding various methods after delivery. 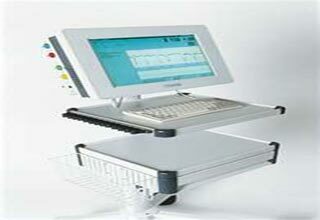 IUCD insertion and laparoscopic tubal ligation are available in the hospital. General antibody screen (indirect Coombs test) for Hemolytic disease of newborn. Rh D negative antenatal patients should receive RhoGam at 28 weeks to prevent Rh disease. Group B Streptococcus screen – will receive IV penicillin or ampicillin (it is much cheaper and has a wider coverage) if positive (if mother is allergic, alternative therapies include IV clindamycin). Genetic screening for Downs syndrome (trisomy 21) and trisomy 18 is rapidly evolving away from the AFP-Quad screen for downs syndrome- done typically in the second trimester at 16–18 weeks. 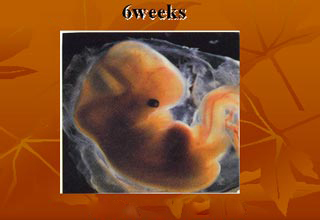 The newer integrated screen (formerly called F.A.S.T.E.R for First And Second Trimester Early Results) can be done at 10 plus weeks to 13 plus weeks with an ultrasound of the fetal neck (thick skin is bad) and two chemicals (analytes) Papp-a and bhcg (pregnancy hormone level itself). It gives an accurate risk profile very early. 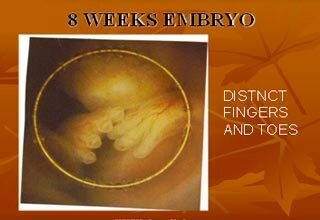 There is a second blood screen at 15 to 20 weeks which refines the risk more accurately. The cost is higher than an "AFP-quad" screen due to the ultrasound and second blood test but it is quoted to have a 93% pick up rate as opposed to 88% for the standard AFP/QS. Amniocentesis is the national standard for women over 35 or who reach 35 by mid pregnancy or who are at increased risk by family history or prior birth history. Glucose loading test (GLT) - screens for gestational diabetes; if > 140 mg/dL, a glucose tolerance test (GTT) is administered; a fasting glucose > 105 mg/dL suggests gestational diabetes. Most doctors do a sugar load in a drink form of 50 grams of glucose in water and draw blood an hour later (plus or minus 5 minutes) ; If glucose levels are more than 145mg/dl then GTT is advised. 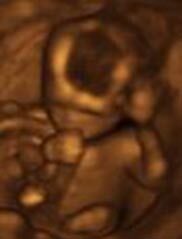 A normal gestation would reveal a gestational sac, yolk sac, and fetal pole. 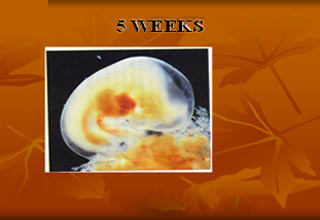 The gestational age can be assessed by evaluating the mean gestational sac diameter (MGD) before week 6, and the crown-rump length after week 6. Multiple gestation is evaluated by the number of placentae and amniotic sacs present. 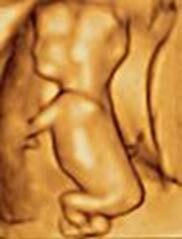 Obstetric ultrasonography is routinely used for dating the gestational age of a pregnancy from the size of the gestational sac, crown rump length of embryo & presence of fetal cardiac activity is the most accurate dating being in first trimester before the growth has been significantly influenced by other factors. 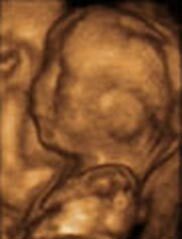 Ultrasound is also used for detecting congenital anomalies (or other fetal anomalies) by TIFFA SCAN WITH FETAL ECHOCARDIOGRAPHY and determining the biophysical profiles (BPP), which are generally easier to detect in the second trimester when the fetal structures are larger and more developed. Specialised ultrasound equipment can also evaluate the blood flow velocity in the umbilical cord, looking to detect a decrease/absence/reversal or diastolic blood flow in the umbilical artery i.e. FETAL DOPPLER STUDY. Provide pain relief, either by nitrous oxide, opiates, or by epidural anesthesia done by anaesthestists, an anesthesiologist,. Postnatal care is care provided to the mother following parturition. A woman who is delivering in a hospital may leave the hospital as soon as she is medically stable and chooses to leave, which can be as early as few hours postpartum, though the average for spontaneous vaginal delivery (SVD) is 1–2 days, and the average caesarean section postnatal stay is 3–4 days. During this time the mother is monitored for bleeding, bowel and bladder function. The infant's health is also monitored. Certain things must be kept in mind as the physician proceeds with the post-natal care. If an Episiotomy or a C-Section was performed, check the dressing for Oozing, haematomas, any signs of infection.